Arjun Sud a 42-year-old Chartered Accountant lives a stressful corporate life working for an MNC with his family in Mumbai. His wife insists him to attend her cousins wedding in Delhi. The family plans for a holiday to Agra along with an adventure animal safari at nearby Chambal forests. Their holiday goes horribly wrong when one of the camels carrying the children panics and runs deep into the jungle to the land of the sacred Paharian tribes. Arjun’s sister Nikki accidentally unlocks the door of the mysterious cave, which is, supposed to hold some ancestral secrets of the tribal. According to the rituals followed by the tribal the one who unlocks the door of the cave has to be killed. The tribal create a Chakravyuh surrounding the family and give them an option either to hand over Nikki or challenge them in an even battle. 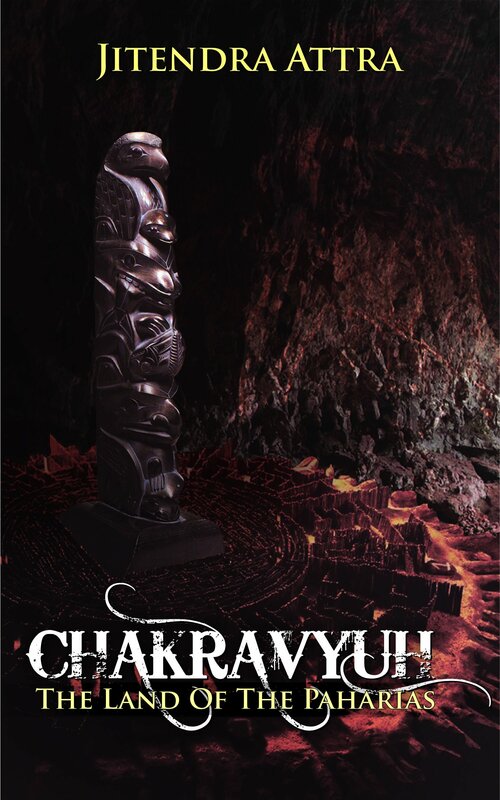 In a shocking revelation Arjun and family come to know that the Chakravyuh actually was a brilliantly designed cipher as a code, a key to the secrets of the mysterious caves. They are helped through the first door inside the caves by the tribals only to realise that the route to the secrets are filled with life threatening dangers. 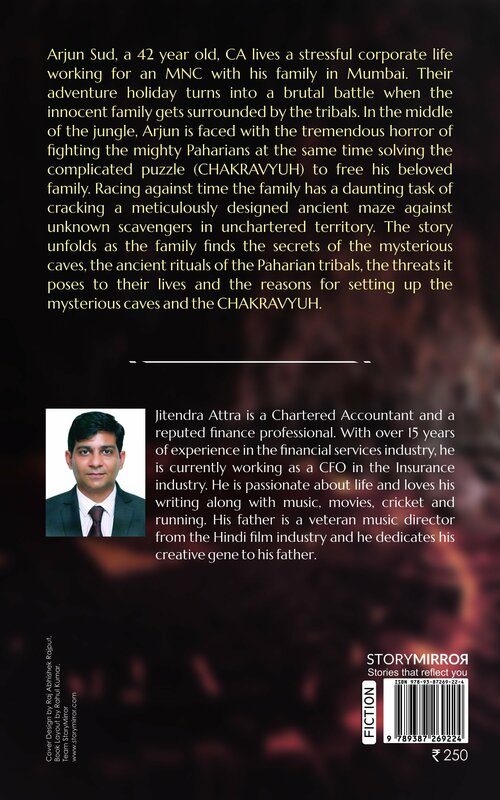 The entire family decides to quit the expedition, that's when Mr Singhania, an industrialist, shows his true colours and locks them inside the caves to face yet another Chakravyuh. Jitendra Attra is a Chartered Accountant and a reputed finance professional. With over 15 years of experience in the financial services industry, he currently is working as a CFO in the Insurance industry. He is passionate about life and loves writing along with music, movies, cricket and running. His father is a veteran music director from the Hindi film industry and he dedicates his creative gene to his father.